Retention is a very important aspect of your treatment. 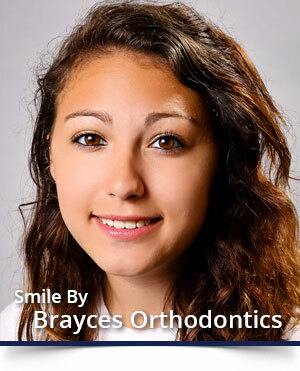 We want to make sure your new “BRAYCES” smile lasts a lifetime. During your treatment, you will put a tremendous effort into achieving your perfect result and we want your terrific smile stays that way. The proper wear and care of your retainers is the most important thing you can do to prevent your teeth from shifting. You are the only person who can keep your teeth straight. The retainer is an appliance (either fixed or removable) used to maintain the correction of the teeth achieved through orthodontic treatment. There are many different designs or types of retainers, Dr. Robert James Bray and Dr. Robert J. Tarby will choose the type that is best for your particular case. Once finished with “BRAYCES”, you will remain an active patient in our practice for an additional year so we can evaluate the teeth and make sure the retainers are being worn and are fitting properly. We ask that patients bring the retainers with them to every appointment. It is absolutely necessary to wear the retainers as instructed by Dr. Bray and Dr. Tarby in order to prevent relapse (or shifting of the teeth). Bone healing from tooth movement takes about one year to occur. Wear your retainers as instructed 24 hrs a day/7days a week for the 1st year, except when eating. After the first year of full time wear, it is critical to continue your retainer wear at nighttime for a lifetime! Lisping and excess saliva are normal when first wearing your retainers, but you will adjust to your new retainers quickly. Keep your retainer check appointments and bring your retainers to each appointment, so we are able to monitor your wear and care of them. Take care of your retainers. Brush them daily and occasionally soak them in a denture cleaner. Never place in hot or boiling water. If they are not in your mouth they must be in their case. Most common ways they are lost or damaged: wrapping them in a napkin at lunchtime in school, putting them in your pocket, leaving them where a pet can get to them (pets will chew them), and leaving them in a hot car. Call immediately if retainer is lost or broken. Your teeth will move if retainer is not worn. There is a charge for lost or broken retainers, or retainers that are not fitting properly due to lack of wear, so please be careful! Currently, our retainer replacement charge is $225 each. Broken retainers can sometimes be repaired, so be sure to bring it with you to the appointment. If it cannot be repaired or if it is lost, a new retainer will be made at an additional charge.